On Monday, June 11, 2018, the Board of Mesa County Commissioners proclaimed June 2018, as Toastmasters Month in Mesa County and encouraged citizens to join in this observance by attending and participating in a Toastmasters Club meeting during the month of June. Debra Kemp, left, and other members of Talk of the Town Toastmasters accept the proclamation. Toastmasters Clubs jointly present Communication and Leadership Workshops for the community to become competent speakers and leaders. Mesa County Commissioners proclaim June 2018 as Toastmasters Month. 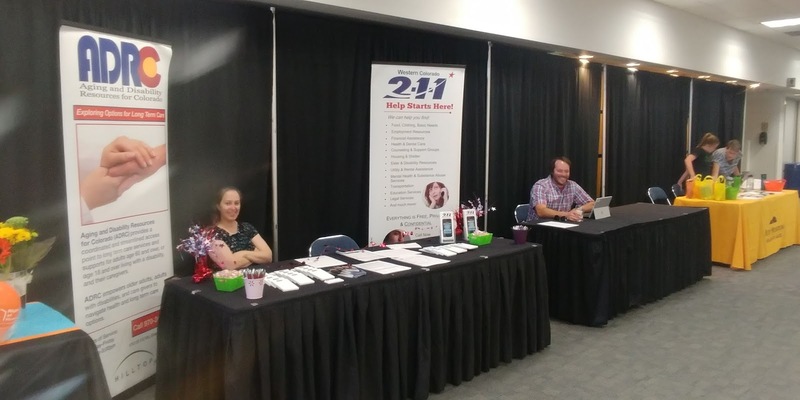 Toastmasters Clubs present at community events to encourage people to practice and perform public speaking at well-known events such as: Ignite! Western Slope and Toastmasters Leadership Institute and speech contest events. 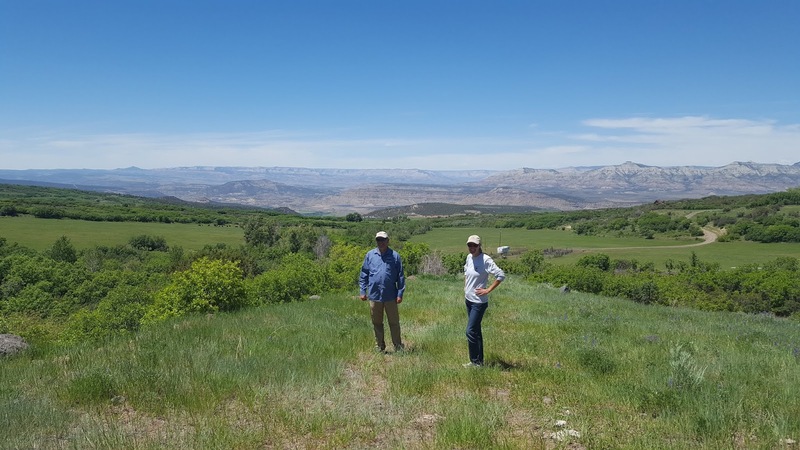 The House Committee on Natural Resources on Friday, June 1, 2018, hosted an oversight hearing titled “Examining the Natural Gas and Oil Shale Opportunities in Western Colorado” at Colorado Mesa University, 1100 North Ave. in Grand Junction. Rob Bishop of Utah and Chairman of the Natural Resources Committee, left, stands alongside Mesa County Commissioner Rose Pugliese and Congressman and Committee Member Scott Tipton. Many community leaders and concerned citizens attend the field hearing regarding natural gas and oil shale on the Western Slope. Mesa County Commissioner Rose Pugliese along with several experts in natural gas and oil shale testify before members of the House Natural Resources Committee regarding energy opportunities and resources in western Colorado. Mesa County Commissioner John Justman at the field hearing Friday afternoon. Mesa County Commissioner Rose Pugliese testifies about the importance of the Jordan Cove project before Congressmen Bishop and Tipton. Watch the hearing at https://youtu.be/YU4s6JqJCLY. Commissioner Pugliese tells the committee that the Jordan Cove project if approved, will create hundreds of jobs throughout the Rocky Mountains that will aid in stabilizing regional economies for decades to come. Congressmen Bishop (left) and Tipton listen to Commissioner Pugliese's testimony. She states "From a local government perspective, the opportunity afforded by pairing Jordan Cove LNG and the Mancos Shale of the Piceance creates a clearer and more stable economic future for western Colorado, and we can hopefully develop a more predictable fiscal planning environment when it comes to the business cycles associated with the oil and gas industry." "This Committee has a key role to play in ensuring the benefits of Jordan Cove are realized. We need an efficient and rational permitting process, especially by agencies under your purview, including the Bureau of Land Management (BLM), US Fish and Wildlife Service (USFW) and NOAA Fisheries," said Commissioner Pugliese in her closing statement. Jesse Redmond, communications & logistics elections coordinator, conducts voter service and polling center training. The in-person voting location opens on June 18! 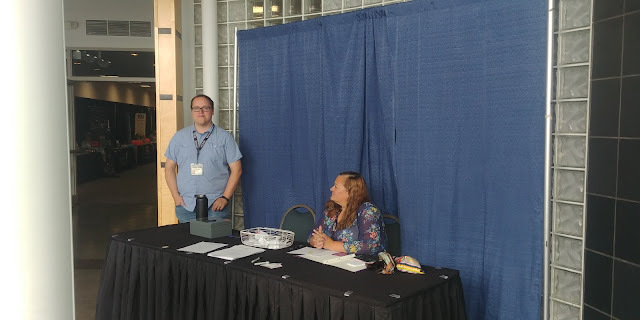 DHS Supervisor Heather Jones and Adult Services Director Grant Jackson, hang out in the hallway at the Two Rivers Convention Center between sessions at the 18th Annual Caregivers Conference. 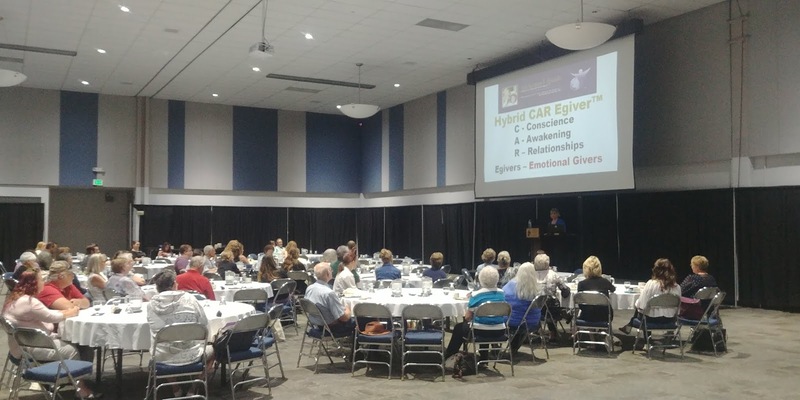 Lots of eager folks ready to learn strategies for themselves and the people they care for during the Annual Caregivers Conference. Derek Lofing with ADRC and Dana Weseman, 211 Call Specialist, cover the registration table at the Caregivers Conference. 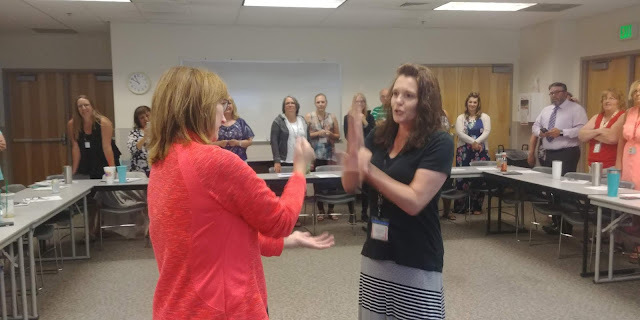 Even Supervisors can have fun at DHS with a tense game of rock, paper, scissors. Here is the final winning round between Denise Kampf (Child Support) and Shelley Grattan (Colorado Works). Denise, in the end, crushed all the competition in the room. Alan Barbee and Teresa Nees with Noxious Weed & Pest Management enjoy the view above Molina while scouting for the noxious weed Dalmatian Toadflax. Mesa County Fairgrounds Manager Donna Redd lets Inside Mesa County class participants know that this year's admission to the Mesa County Fair will be free. For more information regarding the fair, visit http://blog.mesacounty.us/2018/05/2018-mesa-county-fair-is-free.html. 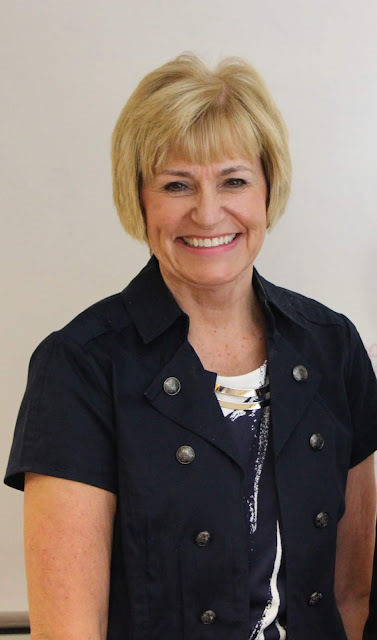 Mesa County Fairgrounds Manager Donna Redd talks about the variety of events that are hosted at the 109-acre fairgrounds. Mesa County Facilities Director Greg Linza shares with the 2018 Inside Mesa County class that his eight-man crew is responsible for maintenance at 61 buildings, which covers approximately 791,641 square feet of property. Facilities Director Greg Linza answers questions from class participants Wednesday night. Mesa County Treasurer sent out a press release reminding taxpayers that the second half of property taxes are due on or before June 15. View the release at http://blog.mesacounty.us/2018/06/second-one-half-property-taxes-due-june.html. Bipartisan teams of two election judges perform signature verification on returned ballots. Over 3,500 ballots have already been received by the Elections office! Mesa County GIS Senior Administrator Chris Kadel shares with Inside Mesa County class participants how Mesa County develops and maintains its geographic information system. GIS Senior Administrator Chris Kadel teaches class attendees how to navigate the GIS webpage.